Country cape with gorgeous corner lot and views of Mt. Mansfield. Stunning location just 1/2 mile off the paved road. 4 bedrooms and 2 baths this home has been meticulously maintained. Enjoy the eat-in kitchen with views of the back yard and mountain. First floor master bedroom and 2nd bedroom on first level. 2 bedrooms up with dormers on both sides. 3-season sitting porch on front. Newer carpet in living and stairs. Newer windows. 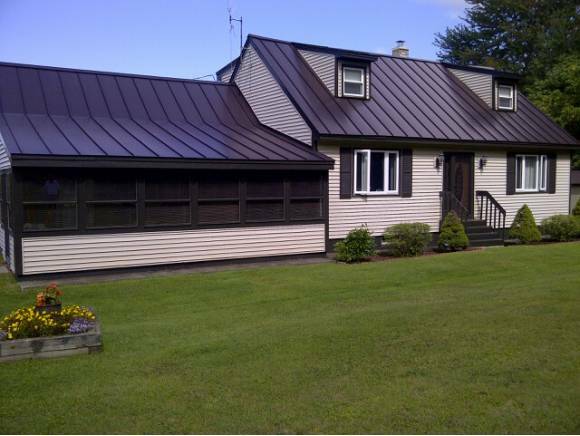 Newer standing seam roof. Attached garage with direct entry to kitchen. Full basement with walk-up to garage. Vinyl windows and tall ceilings would make for a great finished area in the future. Come take a look. For more information or to make an appointment to see this property please call Tina Golon at 1-802-244-4500.